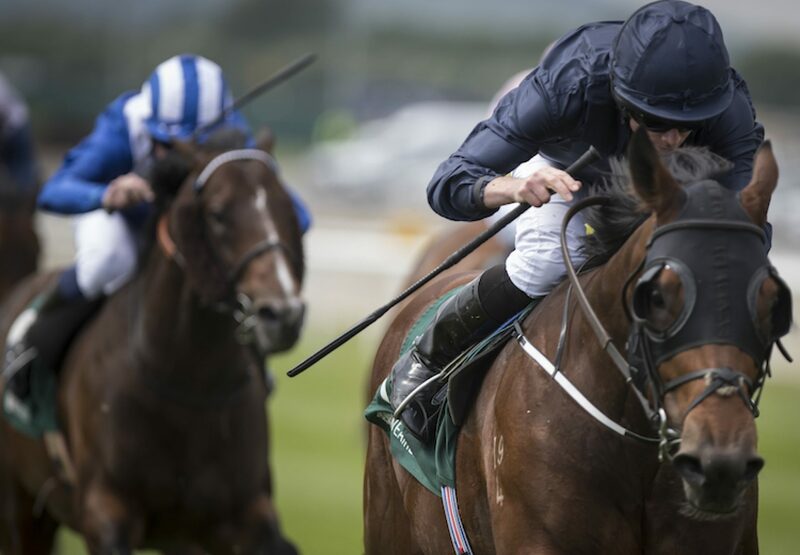 At the Curragh on Saturday Just Wonderful quickened clear of her group on the far rail and the Albany Stakes at Royal Ascot now looks on the cards. "I'm delighted with her. Ours have to be good to win first time,” commented Aidan O’Brien. Fairyland looked another high-class filly in retaining her unbeaten record in the Listed Marble Hill Stakes and could take her place in either the Queen Mary or the Albany. “She travelled well and Seamus said she's a very kind, very unassuming type of filly, and she cruised the whole way,” said her trainer. After being asked to do very little at home Merchant Navy (Fastnet Rock) made his European debut a winning one when he defeated a strong field in the Group 2 Greenlands Stakes (pictured). This should set him up nicely for the Group 1 Diamond Jubilee at Royal Ascot. In the Irish 2,000 Guineas, US Navy Flag and Gustav Klimt both ran well behind Romanised and both may now drop back in trip. After finishing in the frame in a host of Group or Grade 1 races across the globe, Lancaster Bomber gained a well-deserved first success at the highest level when keeping on well to land the Group 1 Tattersalls Gold Cup on Sunday. This was his first time over 10 furlongs and he appeared to see it out well which opens up the possibility of the Prince Of Wales’s Stakes at Royal Ascot.